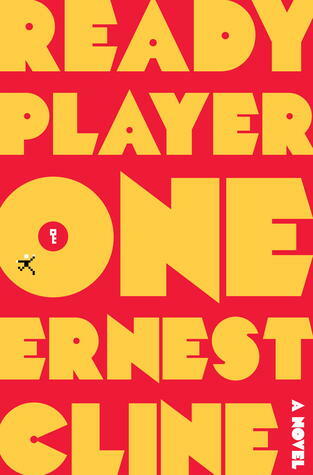 Leaving the library, I picked up a copy of Ready Player One, our One Book selection for this year. On a gray Saturday afternoon, I decided to treat myself and sat down for some enjoyable reading time. Boy, was that not the case! Firstly, it’s futuristic science fiction, not something I generally read, with a retro focus on popular culture of the 1980s — music, movies, and video games. Although I lived through those years, those references were exactly what I try to ignore/forget! But, wanting to participate in upcoming One Book events, I plugged away. I got through Level One, almost half of the book, before I just had to stop. Personal preference aside, I appreciate the author’s concern about environmental and social future, based on where we are heading. However, I found it a frightening commentary on today’s society when a cult hero promoting virtual violence and escapism is idealized. Certainly, the IOI were greedy bad guys. But the hero, James Halliday, founder of OASIS, promoted escapism into a virtual reality devoid of genuine contact with any living beings. His programs also eliminated motivation to fix what was wrong ‘out there’ (exception for Art3mis) and I would classify them as equally misguided and highly disturbing. Eventually, I read the last few chapters to see if I missed anything important. Is it redeeming that Halliday suggests a little dose of reality or control of OASIS even to the point of shutting it down? To me, it came as a minor footnote at the end. Cline evaded a golden opportunity to make a powerful statement when explaining the Halliday/Og falling out. Instead of a philosophical difference (video games vs educational tools), he pinned it on the girl. Using video games to avoid the real world has the potential to lead to devastating results – here in Connecticut, think Newtown. With the goal being to kill the enemy, these games addictively increase adrenaline levels, letting players become superheroes and lose track of time and reality. Escapism at its highest. Research isn’t clear that violent video games lead to violence but it’s intuitive that they don’t promote collaboration, cooperation, or brotherly love. Personally, I’d rather live in the real world and spend my reading time with something either more inspirational or meaningful.